Let your mind run wild as you try tasty combinations like peanut butter and jelly or apple and raspberry. Standard brands of ice cream are holding you back from experiencing the creative flavour combinations that your taste buds demand. 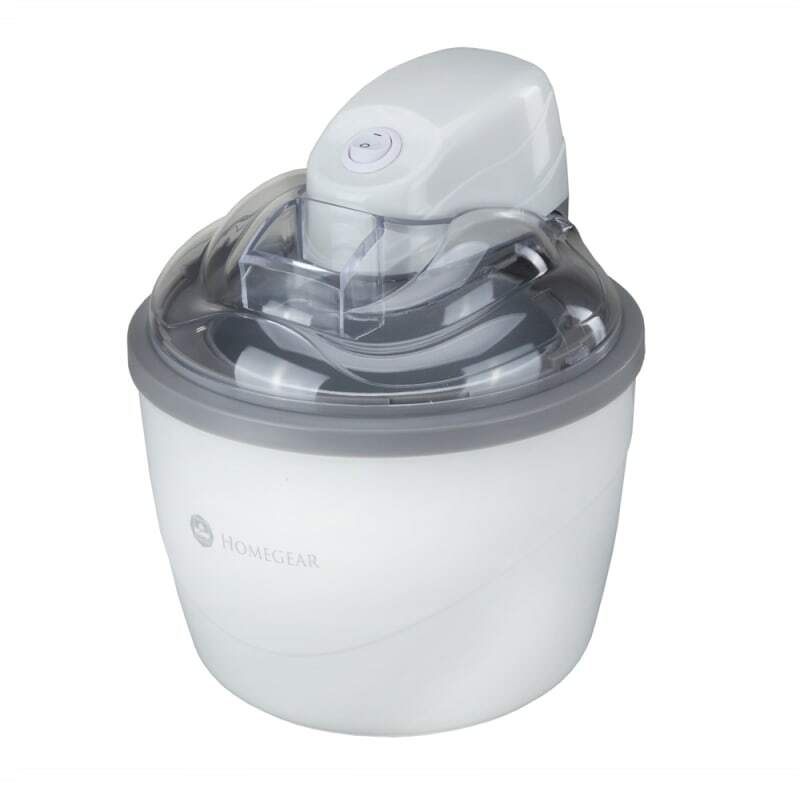 A Homegear ice cream maker can give you the freedom to create those offbeat flavours you crave. Electric ice cream makers dramatically speed up the churning process compared to the manual approach. This ice cream and frozen deserts machine can complete the process in a rapid timeframe of approximately 15-30 minutes and will produce up to 1.5 litres. Let your mind run wild as you try tasty combinations like peanut butter and jelly or apple and raspberry. Start off by filling the detachable quick-freeze insulated bowl with your favourite ingredients and then monitor progress through the clear-view lid. The efficient design of the machine allows for the churning process to be completed without too much noise (60-70db). Homegear has ensured that the setup process is quick and that all required mixing attachments have been provided. A Homegear ice cream maker will have your delicious frozen creations ready in just 15-30 minutes.